"The Lone Ranger" is the remake of the radio show of the same name that was popular in the 1930s. The radio program later became a television show in the 1950s. 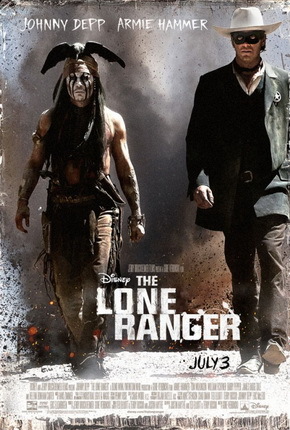 2013's "Lone Ranger" adopts the main characters of the Lone Ranger, played by Armie Hammer (whose name sounds like the household cleaning line Arm & Hammer) and his sidekick Tonto, a Comanche Indian, played by Johnny Depp. Together, they fight criminals in the old American west. "Lone Ranger" is a big budget film that missed the mark (cost over $250,000,000 to make and basically broke even). Depp was funny in the lead role as Tonto, but the movie lacked warmth and causes audiences to lose interest at key points. This film was too dark and bloody to be of any use to the original work.